IIHA full Membership is open to larger hemp businesses and organisations wanting support and multi-channel exposure. Its typically for organisations who wish to gain opportunities, connections and exposure to industry Education, Legislation Support, and Business Development throughout our extensive network. Access to our wealth of industry connections and related private services. This level of membership includes farmers, processors, manufacturers, researchers, investors, organizations and businesses of all sizes who have entered the emerging hemp industry within Ireland. Listing & Prominent Logo on full members Page. Inclusion in the IIHA Email Newsletters. Special Invitations to Pre-Qualified IIHA Hemp Business Meetings and Business Partnership Opportunities. Opportunities to speak and guide IIHA Events. Knowledge that you are a key partner in supporting the IIHA in Ireland. An IIHA Individual Membership costs only €30 per year. 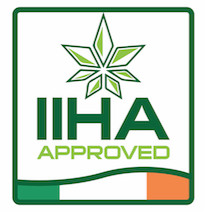 This level is most appropriate for individuals interested in supporting the hemp industry in Ireland. Show your support for Irish Industrial hemp Industry.